Gwen Stefani wore a blue tie-dye mini dress to the People's Choice Awards, and is there anything she can't pull off? Okay, it’s time to make your hands into victory fists while screaming “Hallelujah,” because the ’90s trends of tie-dying is back! Courtesy of Gwen Stefani at the People’s Choice Awards, which took place last night. 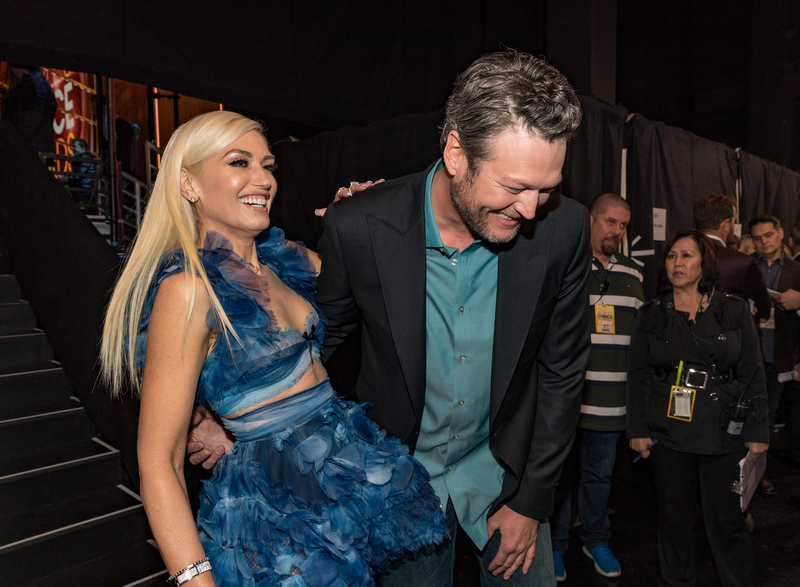 She wore a Reem Acra two-piece mini dress in various shades of blue, and it was the perfect playful outfit for a night of celebration with her BF Blake Shelton (who picked up two awards). We’re crushing SO hard on the little black bow at the bust and puffy straps on the shoulders, not to mention the feathery, flowery skirt! This dress could have easily looked over the top, but she accessorized it with simple silver bracelets and discreet earrings. The happy couple even color coordinated their outfits, and were impossibly cute all night. SWOON. It’s safe to say that Reem Acra is vastly becoming one of our favorite designers, as we fondly remember that Anna Camp’s wedding dress and Lily Collins’ dazzling galaxy dress were from her collection. Oh, and remember the sheer lilac gown with floral embellishments that Anna Faris stepped out in? That was the brainchild of Acra as well. Let’s see Stefani’s dress one more time. She definitely is looking flirty and beautiful! It’s a fact: Gwen Stefani can pull off anything, anywhere, and the way she rocks her frocks gives us so much confidence to push forward and give everything our best shot. It might be the winter season, but we’re gonna be sporting gowns and going out on the town!